Are you on the hunt for some family Easter activities near your Edmonton apartment? Here at Ayre & Oxford we know getting out to celebrate the holiday as a family is important, so we've found some great events for the whole family! Have you ever wanted to create beautiful Easter eggs? On Saturday April 13th you can join this egg decorating workshop led by Edwin Aquino, a MacEwan Arts graduate. Your $10 ticket will give you 4 eggs to decorate and all the supplies you'll need. Families of 4 can get a family ticket for $32. The Carrot Community Arts Coffeehouse is a quick five minute drive from Royal Alex, Regal Arms, and our Cromdale neighbourhood rentals. Whitemud Equine Learning Centre is having an Easter party! Join in the pool noodle horse races, crafts, Easter scavenger hunt, and watch the horse parade at 1:30pm. A concession is available for drinks and snacks. Tickets are $20 per family. WELCA is just 10 minutes from our Jasper Park and Garneau buildings. 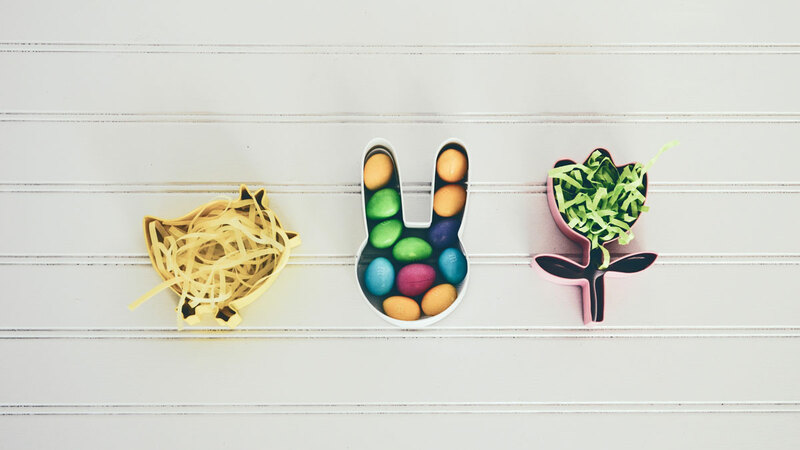 There is lots 'hoppening' at Muttart Conservatory this Easter! Tour the pyramids, view the amazing art, and then join in some hands-on Easter activities, including planting your own Easter plant and visiting with some furry animals. Residents of Cloverdale Hills, Rochester Apartments, and El Mirador Apartment are less than 10 minutes from the fun! Join the egg-stravagant Easter event at the Edmonton Valley Zoo on Easter Monday. Learn about eggs when you try their hands-on science experiments, touch tables, or scavenger hunts. Watch as even the animals get to hunt for eggs with various animal encounters available. The zoo is minutes from our Colonial Arms, Waverly Arms, and Crestview Apartments. Ayre & Oxford wish all of our residents a safe and happy Easter!